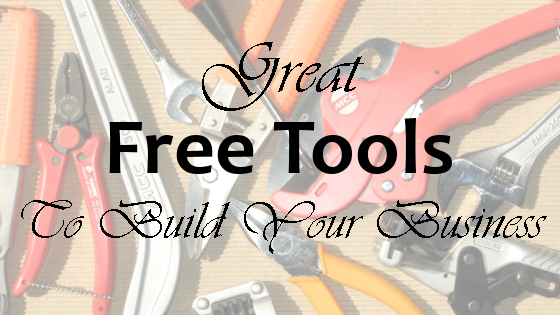 There are three FREE tools that I regularly use in my business. I think you will find them to be very useful as well. Check them out and let me know what you think. OpenOffice includes word processing, spreadsheet, presentation,drawing and database tools. The first three of these basically replace the standard Microsoft office suite. Its not as full features, but it gets the job done. OpenOffice was an open source fork of the proprietary StarOffice created by Sun Microsystems. When Sun was bought by Oracle, there were some concerns about the continued availability of the product and enthusiasts created a fork called LibreOffice. Oracle discontinued StarOffice and donated the code to the Apache organization so that OpenOffice is now Apache Open Office. There is an ongoing commitment to keep it available. LibreOffice is also being actively developed as an open source application. Download OpenOffice here, LibreOffice here. Gimp is a graphics manipulation program similar to Photoshop. It is good for adjusting the color of your images and scaling, cropping and compositing them. You can also use it to add text and graphical elements to your images. Gimp also has an easy to use scripting language and a lot of built in scripts to create enhanced text images. With a bit of practice, you can use the scripting features to create workflows anYou can use it to create a workflow for creating featured images for your WordPress posts. Inkscape is a graphic design tool similar to Adobe Illustrator. It can be used to create charts, graphs, logos, diagrams, cartoons, illustrations and more. It creates vector designs which mean that the images are created by paths instead of pixels. The paths are scalable so that a small image won’t loose resolution when it is scaled up. Inkscape also has tools that are specialized for drawing in contract to Gimp, which is designed for image editing.